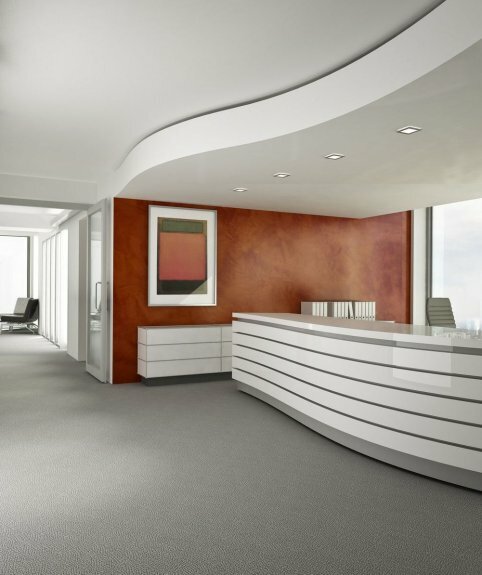 An elegant and well-kept office is a showcase of every company, every public office or institution. This is an element of the image, an important factor in good customer relations. The appearance and so-called "mood" of the office also affects the well-being of employees and the efficiency of their work. And the appearance of offices is largely determined by the condition of the floors, and thus the floor covering. Everything matters here - the choice of floor covering, installation quality, cleanliness, and level of wear. A well-chosen floor covering not only means greater aesthetics of the interior but also adequate soundproofing of rooms, comfort, and safety of movement. The right choice of floor coverings affects the ease of keeping floors clean.